Renée Soulodre-La France considers how the expulsion of the Jesuit order from Latin America in 1767 transformed slaves' lives and identities in New Granada. 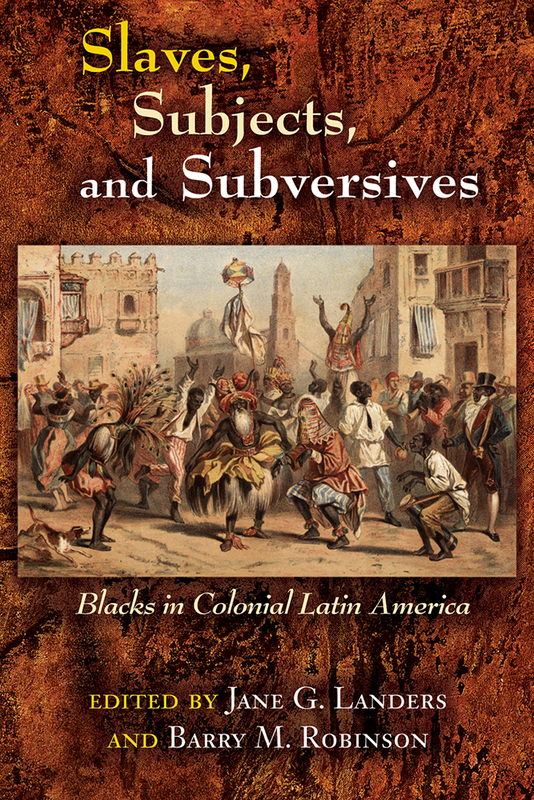 Matt Childs investigates the tensions between African-born and creole members of Havana's black brotherhoods in the eighteenth century. Stuart Schwartz probes a Muslim uprising of Hausa dockworkers in nineteenth-century Brazil. Seth Meisel shows how enslaved blacks parlayed their military service against British forces in 1806 into freedom and citizenship in the new republic of Argentina. The appendix includes translated primary documents from each of these essays. Jane G. Landers is associate professor of history at Vanderbilt University and the author of Black Society in Spanish Florida. Barry M. Robinson is assistant professor of history, Samford University.